Thank you for considering making a permanent commitment to keeping your Ojai Valley land as open space or available for agricultural use. This is a wonderful way to leave a legacy in the Ojai Valley, and the best way to ensure that the outstanding qualities of your land are protected forever. Making this commitment may result in a substantial financial benefit for you in addition to giving you the pleasure of knowing your land will remain as it is forever. Many people in the Ojai Valley have been exemplary caretakers of their land and some have made the decision to permanently protect what they have come to love about it. It may be the land’s scenery, its nature, the hiking opportunities, or its rich agricultural tradition. 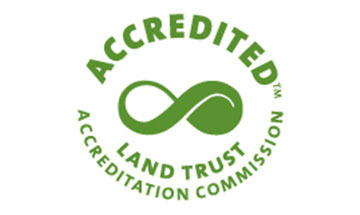 There are many ways to accomplish your land protection goals and the Ojai Valley Land Conservancy would enjoy discussing the options and incentives that may be available to you as you think about the legacy you will leave in the Ojai Valley. Thank you for your care of your land, and for your consideration of a commitment to permanently protect your land. The Ojai Valley Land Conservancy is a private, non-profit, non-governmental organization which has been working since 1987 to protect forever the views, trails, water, wildlife and agricultural lands that make the Ojai Valley the special place that it is. With decades of land protection experience on its staff and Board, the Ojai Valley Land Conservancy has helped community members permanently protect over 2,000 acres of spectacular Ojai Valley lands through acquisition and voluntary land preservation agreements called “conservation easements.” The Ojai Valley Land Conservancy works throughout the upper Ventura River basin, accepting donations of or purchasing land and easements. The Ojai Valley Land Conservancy works with landowners on a voluntary basis and in an apolitical way. The OVLC does not litigate or support regulations or restrictive public policies as a means of protecting land. Our goal is to create incentives for landowners to work with us voluntarily in ways that simultaneously benefit the landowner and protect the Ojai Valley. FAQ: Is OVLC part of the government? No, OVLC is a private non-profit organization supported by private donations from the community. Because OVLC is a 501(c)3 organization, gifts of assets including land and easements can trigger a tax deduction for the donor and therefore compliance with tax laws guides part of OVLC’s work. “Land protection” is a voluntary commitment by a landowner to permanently preserve land in its natural or semi-natural condition as open space, or keep it available for use as working farm or ranch land. Landowners can permanently protect their land by conveying it to OVLC, or they can maintain ownership and control of the land while protecting it with a voluntary land preservation agreement in the form of a “conservation easement” or the similar “agricultural conservation easement” (sometimes simply “agricultural easement”). Land and easements can be donated to OVLC, or at times sold if funding is available. Donations may trigger substantial income, capital gains and/or estate tax benefits for the landowner. The Ojai Valley Land Conservancy seeks to protect land through conservation easement or outright acquisition if the land is in a natural or semi-natural state, but pursues only agricultural easements on working farms and ranches. Land with improvements such as a residence or other structures can still be protected if the property contains adequate conservation or agricultural value. 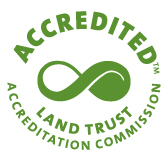 Land or property without adequate conservation or agricultural value (e.g. a house or lot in town) can still be donated to OVLC, potentially triggering a tax benefit for the donor. The OVLC’s intention would be to sell this type of property to generate funds to support the protection of critical Ojai Valley lands. FAQ: What if I change my mind after placing an easement on my land? Easements are effectively irreversible, and cannot be extinguished or relaxed by the landowner or OVLC. 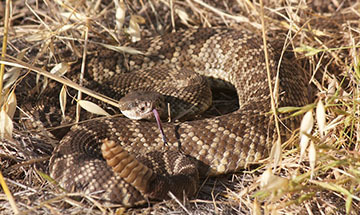 This is both a condition of getting any tax benefit, and a condition of working with the Ojai Valley Land Conservancy. What is NOT (Permanent) Land Protection? Zoning is not permanent land protection because zoning can be changed, even with SOAR, so decision-makers may one day conclude that today’s open lands are appropriate for another use. Land Conservation Act contracts (aka Williamson Act) are also not permanent land protection because these contracts only protect land for ten years, and early withdrawal is possible. Hillside or ridgeline protection ordinances are also not permanent land protection since, as laws or ordinances, they can be changed. Deed restrictions can be changed as well, or not enforced, and therefore these are not permanent protection either. If a landowner wants to protect only a portion of their land, this is possible even if the land to be protected is less than the minimum lot size as prescribed by zoning. With an easement, the easement can simply be placed on a portion of the parcel. With the donation or sale of land, a “conservation subdivision” law in Ventura County is available. The conservation subdivision ordinance exempts landowners from minimum lot size requirements in a subdivision of their property if the purpose of the subdivision is to create a parcel that is donated or sold to a qualifying conservation organization like the Ojai Valley Land Conservancy. Additionally, the process for completing this conservation subdivision has been made easier by allowing this subdivision to occur through the less burdensome “parcel map waiver” process. Call OVLC or visit the County’s website for additional information. The two primary ways landowners can protect their land is by donating or selling the land (donating or selling a “fee simple interest”), and donating or selling an easement (a conservation easement or agricultural conservation easement). A landowner can permanently protect their land by conveying it to the Ojai Valley Land Conservancy either immediately in a donation or sale, or at a later date via a “retained life estate” or in their will. There are usually costs associated with these types of transactions such as appraisals, title insurance, etc, and the OVLC works with individual landowners to determine how to best pay for these costs. Simple Donation or Sale. A landowner can permanently protect their land by donating it to the Ojai Valley Land Conservancy – a marvelous gift to future generations and the Ojai Valley community. Infrequently, the Ojai Valley Land Conservancy can raise the funds necessary to purchase land at or below fair market value (a “bargain sale”). Through a donation or a sale to OVLC, protection of the property would be accomplished and the landowner would be relieved of land management and property tax burdens. Additionally, a donation or a bargain sale of land may result in a substantial income tax deduction, may enable the landowner to avoid capital gains taxes, and may reduce estate tax burdens. 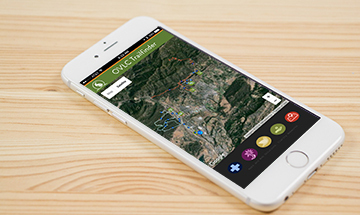 At times the Ojai Valley Land Conservancy is able to raise money to purchase land. 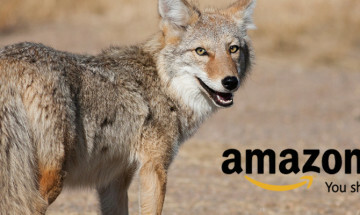 When this is possible, it is usually because the land purchase is eligible for grants from sources whose goal it is to protect the habitat of rare, threatened and endangered species. 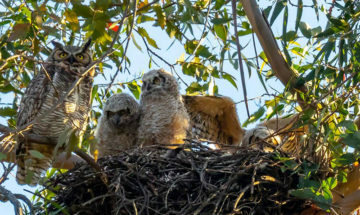 In the Ojai Valley, the highest quality habitat for these species is primarily found along the Ventura River and its major tributaries such as San Antonio Creek, Matilija Creek, and the North Fork Matilija Creek. Continue to Live on the Land via a Retained Life Estate. An alternative way to protect the land that you live on is to donate a “remainder interest” in your property to OVLC, but retain a “life estate” – the right to live on the property until your death or a specific time in the future when title to the property passes to OVLC. Under this scenario, you may generate an immediate tax deduction when the gift is made but retain the right to continue to live on the property. Donating land by will. Although you forego an immediate tax benefit, you can protect your land by donating it in your will. Visit ovlc.org, and go to “Support OVLC”, then “Legacy Giving”, for more information on estate planning options. Example #1: A landowner donates a 40 acre parcel, part of which is in the floodplain of the Ventura River. An appraisal says that the property is worth $1,000,000. The gift would be considered a $1,000,000 charitable contribution. This donation would likely produce an income tax deduction, would eliminate any capital gain liability, and would reduce the size of the landowner’s estate and potentially their future estate tax liability. Example #2: The 40 acre parcel described above has a residence on it in which the landowner lives. The landowner can donate the entire parcel to OVLC, retaining the right to live on the property until their death (a “retained life estate”). Based on their age a life expectancy is calculated and a portion of the $1,000,000 value is considered a charitable contribution in the year of the donation, potentially producing income tax, capital gains tax, and future estate tax relief. Example #3: About half of the above 40 acre parcel is in the floodplain of the Ventura River, and the other half isn’t. Instead of donating the entire parcel, the landowner decides to just donate the 20 acres in the river. The zoning in this area is 40 acre minimum. An appraisal says the 20 acres of mostly floodplain is worth $100,000 as a stand-alone parcel. The landowner completes a conservation subdivision creating two legal lots, each of 20 acres, and donates the river parcel to OVLC. The gift would be considered a $100,000 charitable contribution, potentially producing income tax, capital gains tax, and future estate tax relief. The most common way to permanently protect land as open space is through a “conservation easement”. A conservation easement is a voluntary land preservation agreement in which the landowner voluntarily and permanently limits land uses that would harm the land’s scenic qualities and natural values. The landowner maintains ownership, management, and control of the land. An easement may apply to all or a portion of the land, and need not require public access. The landowner can sell or mortgage the land, or leave it to their heirs, and the land use restrictions run with the land. The land use restrictions are summarized in a legal document, a “Deed of Conservation Easement”, which is recorded and attaches permanently to the title to the land. Conservation easements are essentially irreversible, and rarely amended except to make them more restrictive. FAQ: Will OVLC or the government tell me what to do on my property if I do an easement? Conservation and agricultural easements do not give OVLC or anybody else management rights or obligations for a landowner’s property, which remains their private property. A landowner’s use of their land is restricted, and the only right and obligation OVLC receives is the right to monitor and enforce the land use restrictions in the easement. 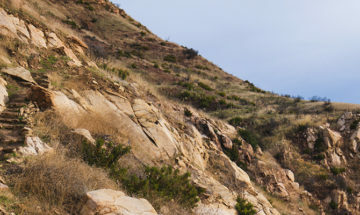 Every conservation easement is as unique as the land it protects, and while certain terms are non-negotiable, many terms are negotiated by the landowner and the Ojai Valley Land Conservancy. Typically, easements include prohibitions on clearing native vegetation (except for fire/safety), introducing non-native vegetation, building new structures or roads, or subdividing the property. If there is a residence or other more intensive use of a portion of the property, an area in which the easement’s restrictions are relaxed or eliminated can be defined (a “building envelope”). The right to maintain existing structures, roads, fences, etc. is typically retained by the landowner. There are exceptions depending on the land and the landowner’s wishes, so a landowner should ask OVLC about their particular situation. Federal law requires the Ojai Valley Land Conservancy to inspect the property annually to ensure that the restrictions are being honored, and engage the landowner in the event of a violation. FAQ: Will people get to come on my land if I do an easement? No, public access is not a condition of an easement on your land, which remains private. Although it is not required, some landowners choose to allow members of the public restricted use of particular trails on their property, especially if these trails connect to public trails. If this is something a landowner would allow, a trail access provision could be included in the easement. Placement of a conservation easement (or agricultural easement) on a piece of land does not affect, and is not affected by, whether or not the land is in a Land Conservation Act contract (aka LCA or Williamson Act). In Ventura County, property taxes – which continue to be the responsibility of the landowner – would not necessarily be impacted by the placement of a conservation easement either. However, if a landowner is considering a conservation easement that would substantially reduce the value of a piece of land, they may wish to contact the County Assessor’s office about how this diminution in value may impact their property taxes. If the land is not already in a LCA contract, an LCA Open Space contract may be compatible with the conservation easement and provide some property tax relief. Additional information can be found on the Ventura County website at: http://assessor.countyofventura.org/taxsavings/lca.html. A landowner can donate a conservation easement, or infrequently a conservation easement may be purchased by OVLC at a price at or below its appraised value. The appraised value of the conservation easement is established by a qualified real estate appraiser. It is the difference between the land’s value without the easement and its typically lower value given the restrictions in the easement. The more limiting the restrictions on use of the property, the lower the value of the property with the easement, and therefore the greater the value of the conservation easement. Significant financial benefits can accrue to the landowner who places a conservation easement on their land. In the event that the easement is donated or sold at a bargain sale, the donated portion of the value can qualify as a tax-deductible charitable contribution. Because a conservation ease­ment typically lowers the market value of the land, placing a conservation easement on your property can lower capital gains tax exposure in a sale, and estate tax liability. A landowner should always consult with their own attorney and financial advisors when considering protecting their land with a conservation easement. Example #4: A person lives on an 80 acre parcel in a place with 40 acre zoning. They place a conservation easement over the entire 80 acre parcel, and reserve a 5 acre building envelope around their house, yard and barn. In terms of the fair market value of the property, the most restrictive terms in the easement are those that preclude subdivision of the property and building of additional structures and roads. If the appraiser says that this restriction reduces the value of the property from $3,000,000 to $2,000,000, the imputed value of the conservation easement will be the difference – $1,000,000. By extension, the landowner earns a $1,000,000 charitable contribution which can lower their adjusted gross income. Capital gains tax liability and estate tax liability is potentially reduced as well. Example #5: The owner of the above 80 acres would like to build a guest house on their property for when their children bring their families to visit. In addition to the first 5 acre building envelope, the landowner designates a second 5 acre building envelope on another part of the property. Recognizing that this building right has value, the appraiser concludes that the value of their property after the easement is in place is $2,300,000, and therefore this less restrictive easement is only valued at $700,000, and this lower amount is considered the charitable contribution. Different land use restrictions. Land use restrictions pertaining to manipulating vegetation, and building/maintaining roads and structures, etc., are relaxed to accommodate farming and ranching practices. Different potential property tax reduction options. While an agricultural easement does not automatically trigger a property tax reduction, the easement would be compatible with an LCA agricultural contract which may provide some property tax relief. 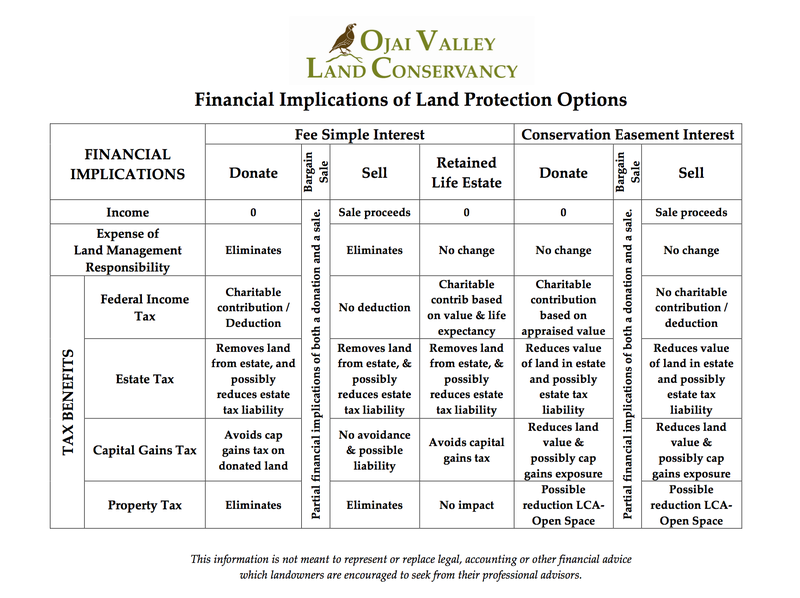 Click the table to the right summarizing the financial incentives that can be associated with the most common land protection options. Every piece of land has unique characteristics, and different individuals have different goals for their property. As a result, every land protection project is different and it is impossible to describe all scenarios in a single document. Your best next step after reading this document is to contact the Executive Director at the Ojai Valley Land Conservancy with any questions you may have and to describe your situation. If you are like most people, you will have many questions. We welcome the opportunity to speak with you and your legal and financial advisors. Thank you again for your interest in protecting your land and preserving the spectacular Ojai Valley. 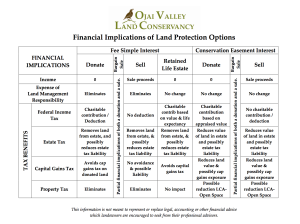 The information provided in this guide by the Ojai Valley Land Conservancy is not meant to represent or replace legal, accounting or other financial advice which landowners are encouraged to seek from their professional advisors.